At SYLRO SALES CORPORATION d/b/a SUNVENT INDUSTRIES we take your privacy seriously. 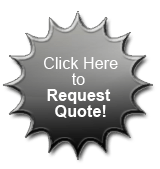 We do, of course, ask you for certain kinds of personal information in order to process your request for quotation. We keep absolutely private any personal information that you may share with us while placing your request or using our website. We do not sell or share your name or any other information about you with any third parties other than to process your order and have it shipped. We go to great lengths to keep your information private and safe.